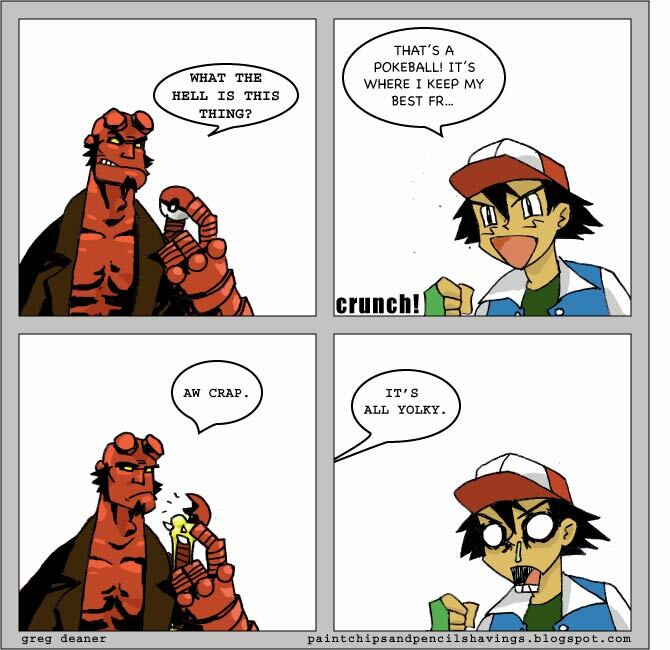 paint chips and pencil shavings: Hellboy finds a pokeball. Ok, my computer has officially gone rogue, so I didn't have all of the adobe capabilities that I normally would. Sorry for the rudimentary coloring job.